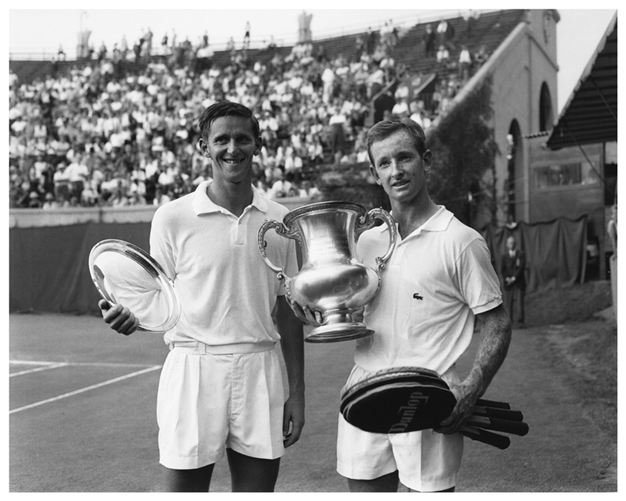 If we consider just the Open Era – when professionals were invited to play all four tennis majors for the first time in 1968 (Australian Open in 1969) – then only four men have won a career Grand Slam (at least one of every major). They are Rod Laver, Andre Agassi, and the still active Roger Federer and Rafael Nadal. Quite an elite group. 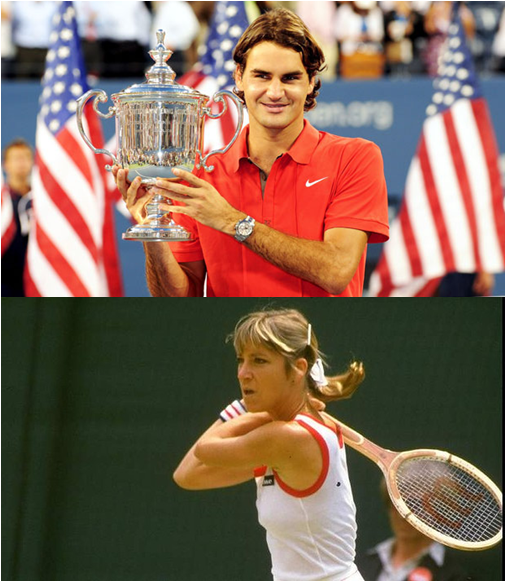 Nearly 50 years of Open Era tennis and only four players have won all four majors: Australian, French, Wimbledon and U.S.
Not even Ivan Lendl (never won Wimbledon), Jimmy Connors (no French Open), Pete Sampras (no French Open) nor Bjorn Borg (only French Open and Wimbledon wins) can claim a Grand Slam. If you go back to the very beginnings of all four “tournaments,” another three players make the Grand Slam cut. Check out the all-timers below. What about the ladies? See the women’s all-time Grand Slam winners tomorrow! Roger Federer Won Five U.S. Opens In A Row. Chris Evert Won Four Consecutively. Serena Williams won her third U.S. Open in a row today in a cakewalk, sending off Caroline Wozniacki 6-3, 6-3. It’s Serena’s 6th U.S. Open title and 18th major victory. Since the Open Era began in 1968, only Chris Evert (amongst women) has won more consecutive championships – four in the mid- to late- 1970’s. Williams, No. 1 in the world, definitely has a shot at matching Evert in 2015. Seven other ladies have gone straight up back-to-back (two in a row), including Serena’s sis, Venus. On the men’s side, it’s Roger Federer with more consecutive titles than anyone. Federer hit five in a row between 2004 and 2008. Since then, we’ve had five different winners (Rafael Nadal won twice, but not successively), including 2014. It’s Croatia’s Marin Cilic and Japan’s Kei Nishikori in the Finals tomorrow, both looking for their first Grand Slam win. More than 10 years into the Open Era, the men saw their first back-to-back winner when John McEnroe took three in a row. Nemesis Ivan Lendl also won three consecutive.